In the 21st century, change driven by ‘continuous innovation’ will be the topmost competitive advantage for the organizations. The importance of innovation in all sectors is growing, and growing significantly. The key differentiating factor for organizations to achieve & sustain ‘continuous innovation’ will be ‘innovation prowess’ of their own talent pool. The talent that has ability to imagine the ideal products, services or processes & overcome contradictions that need to be overcome along the ‘idea to implementation’ journey. ‘How to Innovate’ was never a subject of any academic curriculum. It’s widely believed that innovators are born and cannot be created. This belief therefore wombs another belief that ‘ability to innovate’ can never be taught and learned. All these (mis)beliefs retard individual’s professional success. In the world where skills become commodity at a speed of light, individual’s professional life is endangered due to lack of Innovation prowess. This in turn has direct effect on organization’s competitiveness. ‘Can ability to innovate’ be learned? 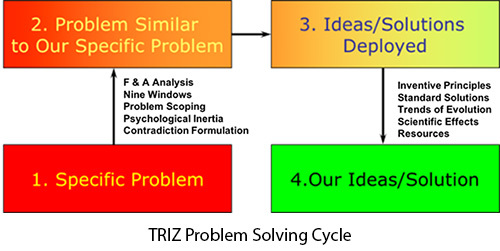 ‘TRIZ’ (Russian Acronym for ‘Theory of Inventive Problem Solving”) an innovative science which is based on 60 + years of research, teaches us ‘how to innovate’ irrespective of our level of education and engineering domain we belong to. It will help you migrate your problem-solving skills from one functional/business domain to another, even into the areas that would otherwise require you to study for years in order to gain expertise. You will stand out amongst your peers when it comes to providing ingenious solution/s to the pressing organizational problems. Note: Participation Certificate will be awarded. However, it is mandatory to complete a project as a part of the TRIZ Level 1 Certification. Course Certification will be awarded basis the efforts seen in applying the TRIZ tools & results achieved. Breakthrough Management Group International (BMGI) is the leading global consulting firm helping organizations transform their business performance using path breaking innovation methodologies and considered as world leaders in performance excellence. BMGI operates out of 18 countries and has done over 500+ successful result oriented deployments. BMGI enables companies throughout the world to identify and solve their most important business problems with a strong emphasis on sustainable results. BMGI’s clients include amongst others Accenture, Asian Paints, Bajaj Auto, HP Global, ITC, Marico, Oracle, Mercedes Benz, Sudarshan Chemicals, Reliance Industries, Standard Chartered Bank, to name a few.